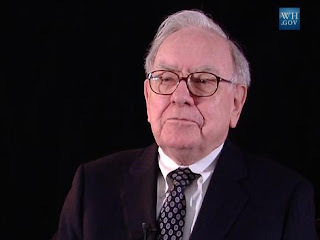 So if we have a business I think that we should call Buffet to speak about or praise our business, the man is a hit at the stock market. The happiness for Apple comes after Buffet comments on national TV interviewing on CNBC. As a comment he said that he had bought more Apple shares than any other stock over the past year and as an advertisement he praised Apple's for the way that they retain customers and keep them in ecosystem. More happiness was to Apple shares because Berkshire Hathaway reveals on Febrary 14 that it had increased its stake a 23 percent, making it the company’s largest common stock investment. That are good news for Apple who see how Smartphone adversaries are more and more strong contending and innovation and quality of their competitors increasing day after day. Apple saids that its shares were up almost 2 percent at $178.95 in midday trade, before Buffet comments. Nevertheless closer contenders Samsung and Huawei are under scandals that low their share. The first one had his CEO behind bars, he was released recently. By another hand Huawei is facing US intelligence agencies finger points about Huawei flaws security troubles. Actually in a report sending to the Senate, the Intelligence Committee recommended does not buy any Huawei products. The report expressed that they were deeply concerning about the risk of foreign company that are commitment with foreign governments, and the Director of FBI gave faith of it. Regardless those criteria the table is served. According to some reports after Buffet comments, nine analysts have raised their price targets for Apple, while six have reduced their targets. The median price target for Apple’s stock has risen from $189.48 to $192.43. At that price, Apple’s stock market value would be $989 billion, compared to $909 billion on Monday. So maybe it will have a nice surprise for Apple fans. They plan to launch an outstanding iPhone, with two other smartphones. They want to tackle down Samsung with a bigger device that it could be bigger than arch-rival Samsung’s flagship phone. Last year was a successful year for them when they released 10th anniversary iPhone with premium features and a $1,000 price tag. According to some sources Apple will include a handset upgrade, same size as the current iPhone X and a less expensive model with some of the X’s key features. The expectancy market is about if the new phones will restart a screen size wars as happened a few years ago, as an attempt of increasing the sales. A research firm IDC reveals that global smartphones sales fell down 0.1 percent last year. Believer or not Samsung announced on a larger than the current Samsung Note 8’s 6.3-inch screen. Apple is under pressure, so the iPhone maker is already running production tests with suppliers and is expected to announce the new phones this fall. Apple also hopes to incorporate next-generation A12 processors and will continue to include stainless steel edges.